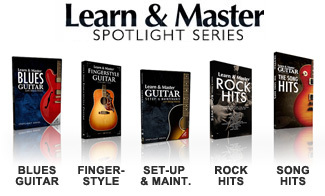 In a world of cheap, over-hyped, "Learn This Overnight" instructional videos, Legacy Learning Systems was founded to produce truly comprehensive multimedia training courses for those who want serious instruction in the comfort of their own homes. We believe that learning should be fun, unintimidating and systematic, with each new skill building on the previous one. Our first courses were in music instruction, but other topics related to the arts, hobbies, career, and a variety of special interests are under development. Nearly all of us have that one thing we've always wanted to learn. To sing. To dance. To play an instrument. To surf, sail, cook, or speak a foreign language. Whatever it is, we all have something we wish we could do. A personal dream. As time passes and life gets in the way, that little dream can seem farther and farther out of reach. School is out of the question. Private lessons are pricey and inconvenient. But what if something could make it possible? That is our mission. To make difficult skills accessible through multimedia self-education courses. To bring personal dreams within reach. What Should You Expect from a Legacy Learning Systems Course? First, your lessons will be always be laid out in an easy-to-follow, step-by-step progression with everything you need in one place. No need to buy countless training videos from a patchwork of sources. Second, your Legacy course will take you far beyond the basics of the typical instructional video. We get you started quickly, but your lessons will take you as far along the path to mastery as you choose to go. You won't find a more comprehensive multimedia training course on your topic anywhere! Perhaps most important, you won't have to learn alone. Our online support community is an integral part of the learning process and is free for all of our students. The very same instructors who wrote your course will be there for you when you have questions or need encouragement. Students who participate in this community are able to discuss their progress, post their successes, and interact with other students as much or as little as they wish. We are not finished when you buy our course. We are finished when you have reached your dream.